Virtual Reality (VR) and Augmented Reality (AR) have gained a large following since VR research skyrocketed in the 1990s, and it is thanks to marketers and tech enthusiasts that these technologies have become a prominent force in the market. The applications for VR and AR are virtually limitless. As such, numerous industries are adopting these novel technologies to benefit from their extensive functions. With VR, individuals are transported to a different reality through the use of closed visors and a headset. The visors display a virtual environment while the headset emits specific sound effects to match the setting. The motion sensitive visor allows the individual to experience the setting in a 360-degree view by turning his or her head to see their surroundings. To make the VR experience more immersive, active VR motion platforms are being developed so users can navigate the virtual world in first-person by walking or running. In contrast, AR adds or "augments" an individual's reality often through the use of a transparent lens that blends computerized images with the surroundings in the real world. AR users, for example, can watch a shark pop out of a sidewalk, or see a dinosaur on the street, which they can also interact with. While VR is, in fact, more immersive, experts believe AR has more potential for commercial use. However, there are some aspects that still hinder VR and AR adoption in a wide scale. For example, both of these technologies have difficulty rendering 3D environments in real-time. Additionally, VR and AR developers experience problems with creating high-resolution, life-like objects. To many critics, these technologies are still seen as "toys" geared towards a small community mainly fit for video game applications. Admittedly, both VR and AR are fairly new and there is still much more development to be done, but already they have a wide array of uses besides video games. Everything from immersing a scientist onto the surface of Mars, to transposing a surgeon into an operating room that is halfway across the world. 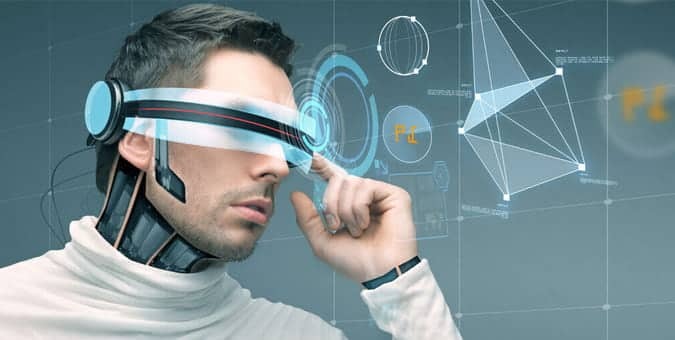 Commercial entities and private organizations alike are becoming aware of the vast possibilities of VR and AR and are making quick progress to implement these into their business practices. Chetu's Wearable Technology team implements solutions for the Wearable Technology Industry. Chetu differentiates itself in providing industry specific expertise combined with its low cost, high productivity model.